Kavita Baluni, likes to be known as a ‘wanderer and mommy to Veda through adoption’. 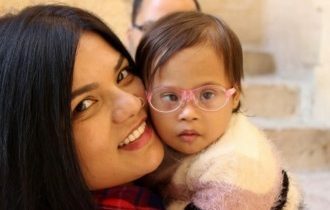 Leading by example and putting her experience to good use, Kavita devotes a lot of her time towards raising awareness on adoption and Down Syndrome. 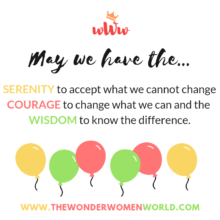 Known as the first couple in India to adopt a child with Down Syndrome, she is eager for many more to follow and is here on The Wonder Women World to share her experience and what she beautifully calls ‘a blessed life’ after Veda. Kavita feels that some factors that hamper the decision making process include family ideologies, societal pressure, lack of awareness and ignorance about disability. Also adoption, in many cases is an option for those are not able to have biological kids so they seek perfection in the child they adopt. The general perception that all kids with special needs are alike and will be dependent on their parents their entire life adds to the hesitation that couples have to adopt children with special needs.